DryScan came to Fabric as they were with another AdWords management agency, but they were struggling to achieve the results they wanted. Dryscan, an Auckland-based building inspection company, wanted to capitalise on their growing reputation for dedication and integrity by making their online presence more powerful. Fabric Digital helped them do exactly that. In 2016, Dryscan were using another AdWords management agency, but they were struggling to achieve the results they wanted. As often happens, this other agency seemed to approach Dryscan’s ambitions as a chore rather than an opportunity. So Dryscan reached out to our team at Fabric, and asked us to help them get a better return on investment. We rebuilt their AdWords campaign to achieve maximum visibility . . .
We ran a combination of search network and display banner ads. The search network ads were particularly important, because they’re what help businesses appear at the top of search engine results when someone enters a relevant keyword. 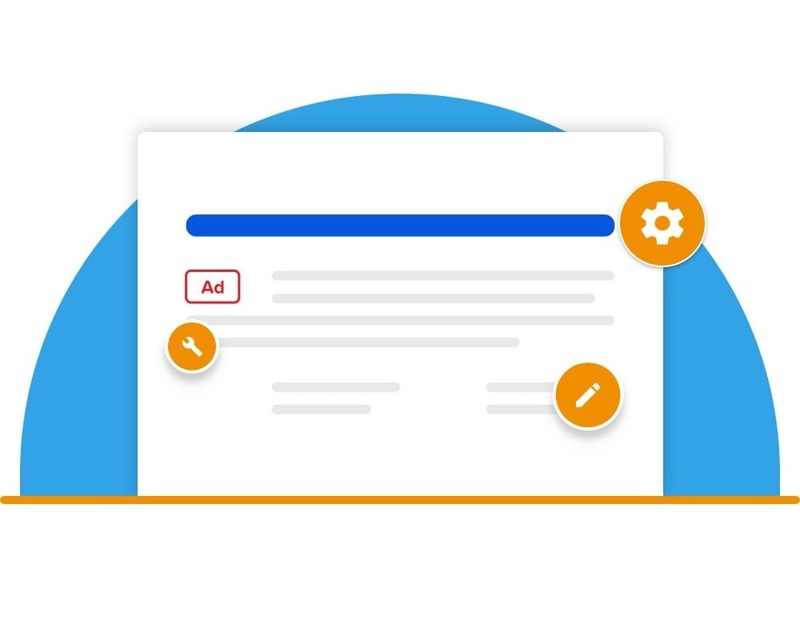 People who see these ads are active searchers – they’re already aiming to find something. For Dryscan, we helped grab the attention of people in Auckland who were actively looking for quality building inspections and other similar services. The display banner ads were also crucial to our campaign. They were custom-designed, with prominent calls to action that encouraged people to get in touch with Dryscan. In the first three months alone, we managed to achieve a 70% increase in their web traffic.
. . . with minimum wastage. We regularly optimised Dryscan’s AdWords account to ensure the ads were only triggered by the search terms most likely to drive conversions. This was achieved by continually adding negative keywords, which helped guarantee that none of the marketing budget would be wasted on irrelevant web traffic. We also employed an Alpha Beta campaign structure to further help with optimisation. This method takes into account the keywords that have actually driven conversions in the past. As a result, Dryscan’s ads were no longer clicked on by people who used keyword-rich but totally irrelevant phrases like ‘police house inspection’. 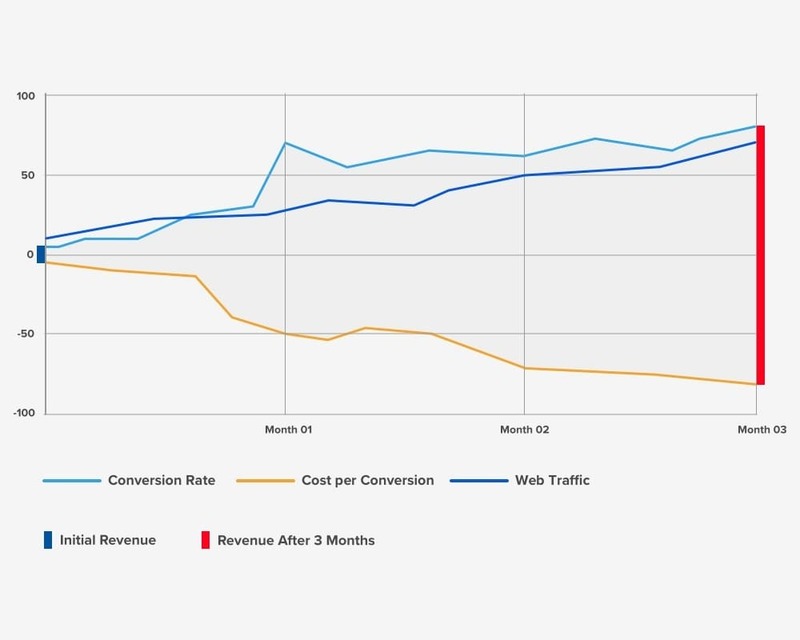 The Alpha Beta structure helped us refine the quality of traffic we were bringing in, while lowering the cost of each conversion by 82%. In other words, we helped Dryscan get more bang for their buck.